Ware's Livery Stable - Horse & Carriage Specialists -Wedding Carriages, Funeral Carriages & more..
We have over 100 horse drawn vehicles available for: Film, Weddings, Christenings, Funerals, Advertising Promotions, Formals or any event. Our range of vehicles is extensive, from the most elegant wedding coaches to tradesmen vehicles and farm-type vehicles. Wares Livery Stable will deliver beyond your expectations. 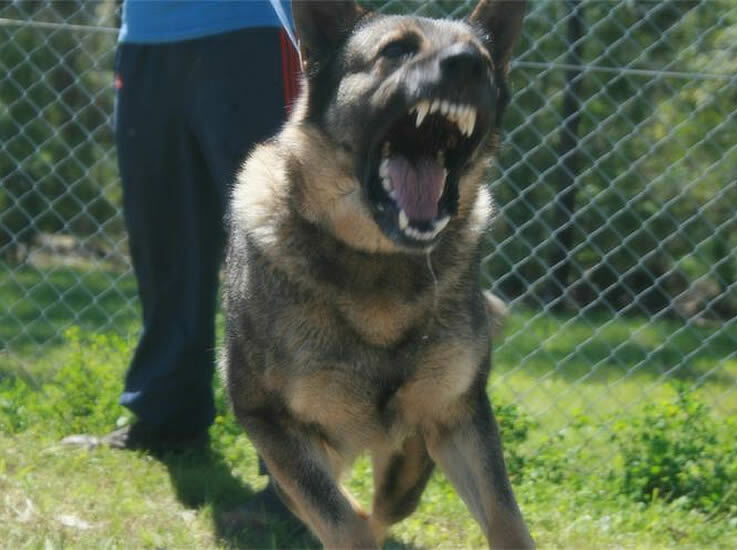 Our Horses are well maintained and trained for any environment. 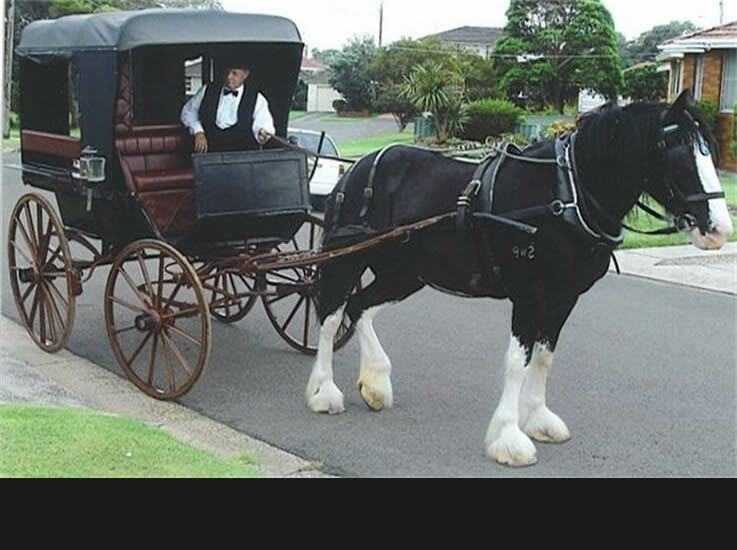 We are Sydney's number one for the supply of Wedding Coaches and Wedding Horses. We have stayed in business since the 1930's because we are the best in the business. 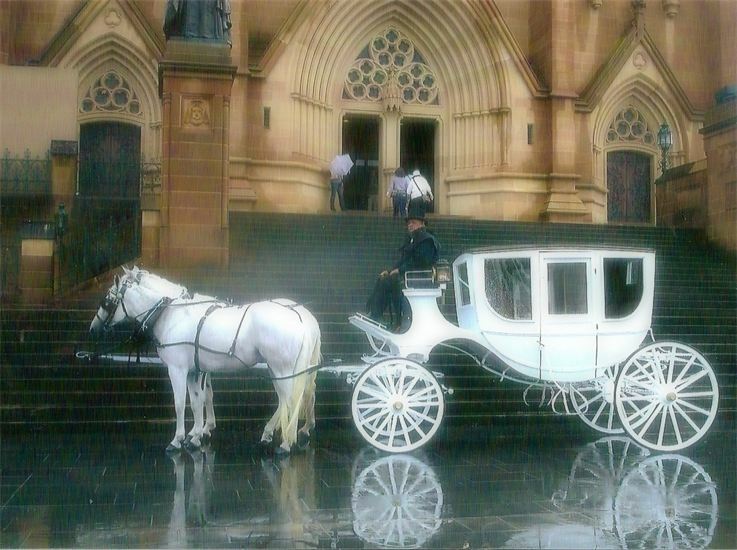 We are Sydney's number one for the supply of Wedding Coaches and Wedding Horses. Make your Wedding a memorable and unforgettable occasion. You have the prince now you can live the fairytale. Our range of wedding carriages is second to none. You can travel in style with your choice in the colour of horse and wedding carriage making your day Perfect! Just as it should be. 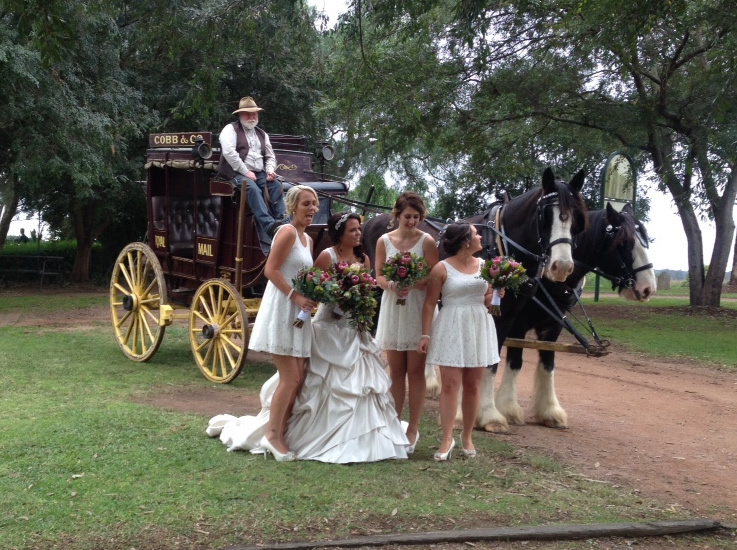 The Horses you can choose from are Grey's, Blacks and Bays and then choose the wedding carriage to match. Our Wedding Horses are magnificent. A unique touch for family and friends to respectfully say good-bye to loved ones. 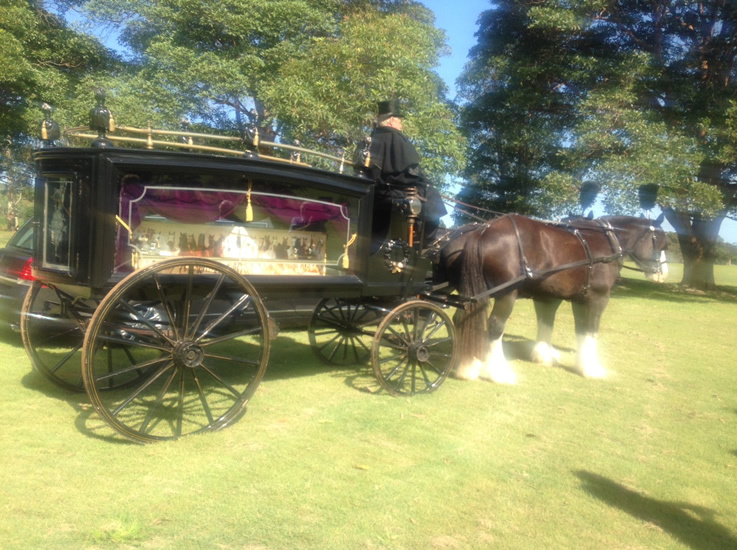 Our horse drawn hearse will be a fitting send off for your loved one. We can assist you to create a personalised funeral service for your loved one, by creating a unique experience for their final journey. SCHOOL FORMALS are all the more fun when arriving at the ball in a vintage or classic coach pulled along by magnificent horses. 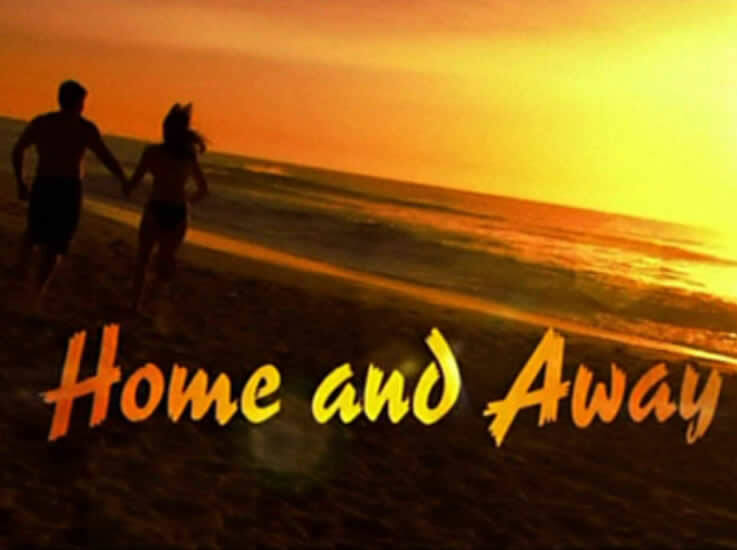 Our aim is to provide you with an exciting and memorable day to celebrate your school formal. We offer a personal service at competitive rates without sacrificing quality of service and professionalism. 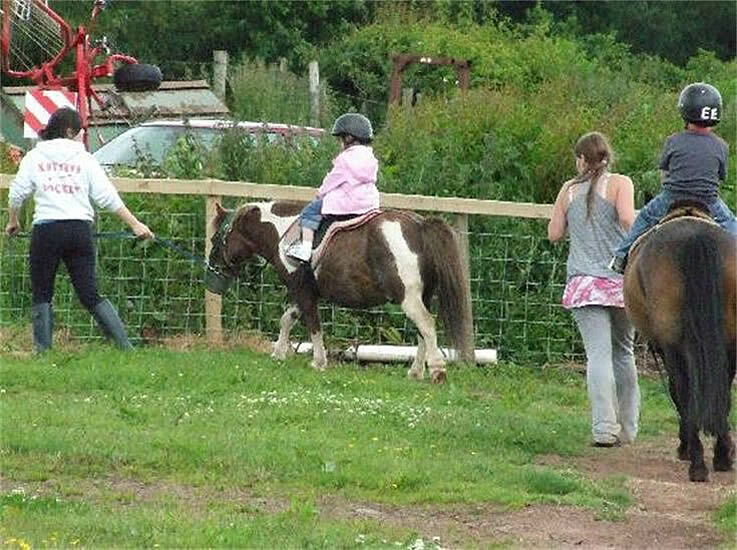 Put a Smile on your kids faces!We provide ponies and donkeys for children's birthday parties. We have been supplying horses, ponies, donkeys, hayrides and drag rides for office parties , fetes, children 's birthday parties for over 30 years.